Could you let me know if you have slots available in Oregon? Thank you so much. 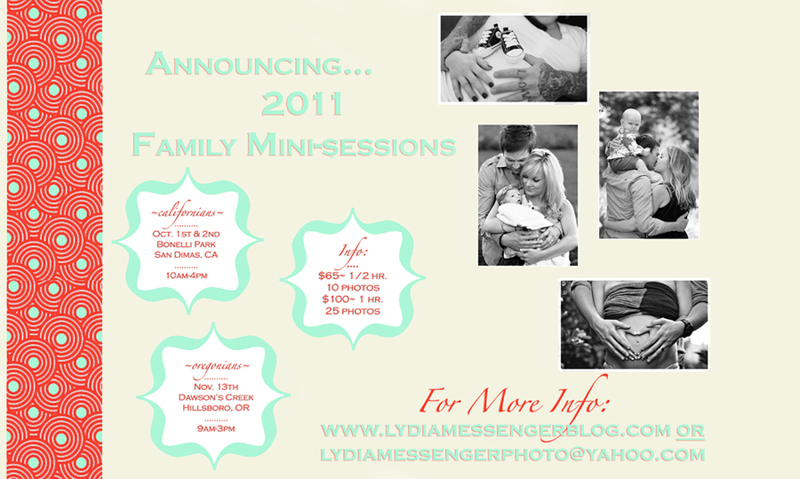 Yes there are still spots open for the Oregon mini-sessions! Would 9:30 am possibly work for you? Feel free and email me at lydiamessengerphoto@yahoo.com. If this time slot works. If not, feel free and let me know another time that will work. Thanks for your interest and I’m excited to hear from you! I would love for your to take some three generation pictures of Emily, Lana and myself. How about Sunday Oct. 2nd on my birthday? We know Em won’t be working that day so anytime is fine. Just send my a FB message or email and I can send you money. Thanks,. What a cool idea! Oh my goodness! I am so excited for this session! What a sweet thing to do and especially on your birthday! Feel free and let me know if you’d like the 1/2 hr time slot, which is $65 and includes 10 photos or the 1 hr time slot, which is $100 and includes 25 photos. 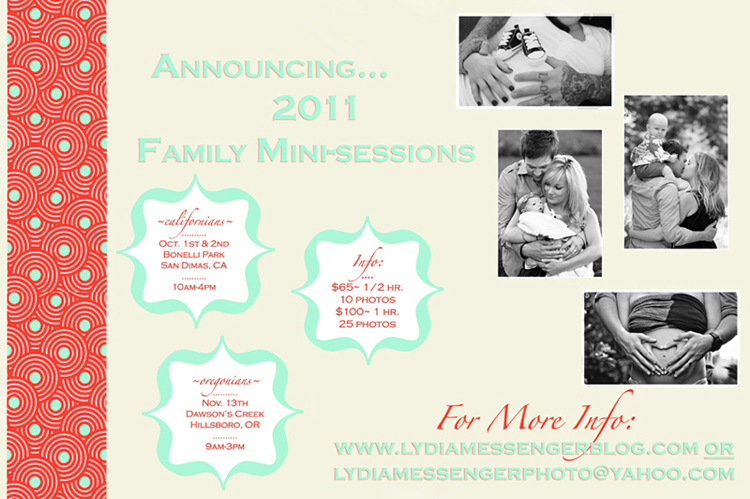 You can also email me at lydiamessengerphoto@yahoo.com if you have any other questions. I’m so excited to hear from you!